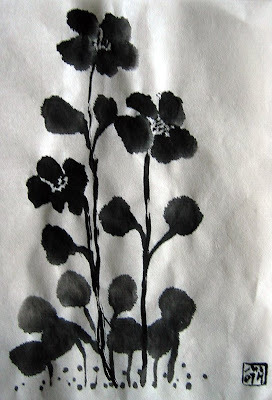 chinese ink on rice paper..
Wow! I like these! Nicely done. Have you ever been over to the Chinese Brush Painting Yahoo group? I am new there and a beginner–very nice group of folks. :) Keep up the good work! beautiful. I love the shapes and simple forms you’ve created here.